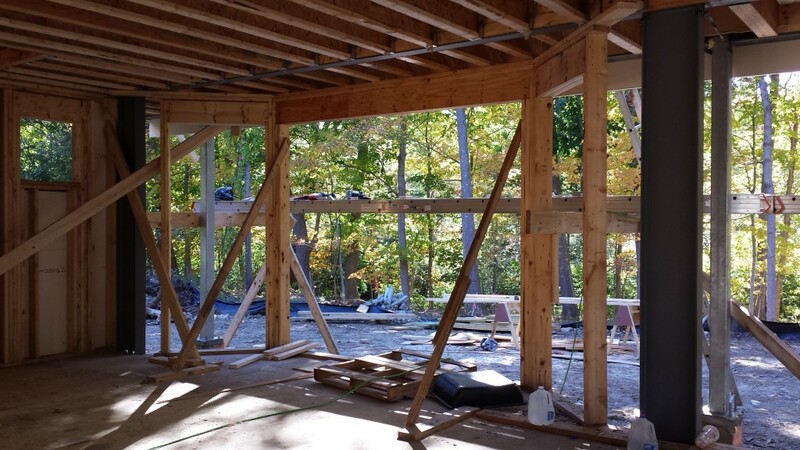 Our client came to TMS to help them in realizing their vision of a New England rambling cottage that captured the rural character of their site which was defined by fieldstone walls and surrounded by sheltered vistas into the wooded landscape beyond. The design concept created by TMS was to break the home into three distinct and well-defined building forms joined by lower roof building connectors. The end result is a building that rambles across the site and utilizes the three building masses to create well-defined outdoor spaces that help to form an entrance courtyard and a protected outdoor patio space overlooking the wooded wetlands at the rear of the property. By breaking down the building massing, the home has an intimate cozy scale that reflects the casual, comfortable lifestyle of the home owners. The interior is an open floor plan with 10’ ceilings which add to the spacious quality of the main living spaces. The rear wall of the home is facing south and is a series of glass French doors which lead out to a large exterior patio complete with a fire pit for evening retreats. In addition to the outdoor patio is a large screen porch protected from the elements and bugs for summer outdoor living. A stone fireplace incorporated into the screen porch extends the use during New England’s shoulder seasons. The interior architectural details will capture the casual and comfortable feeling of the “cottage style” with an abundance of built-ins, beamed ceilings and whimsical architectural millwork. This photograph demonstrates very clearly the articulation of multiple volumes; the two main volumes are the main body of the residence (centrally located) and the garage (on the right end side of the residence). 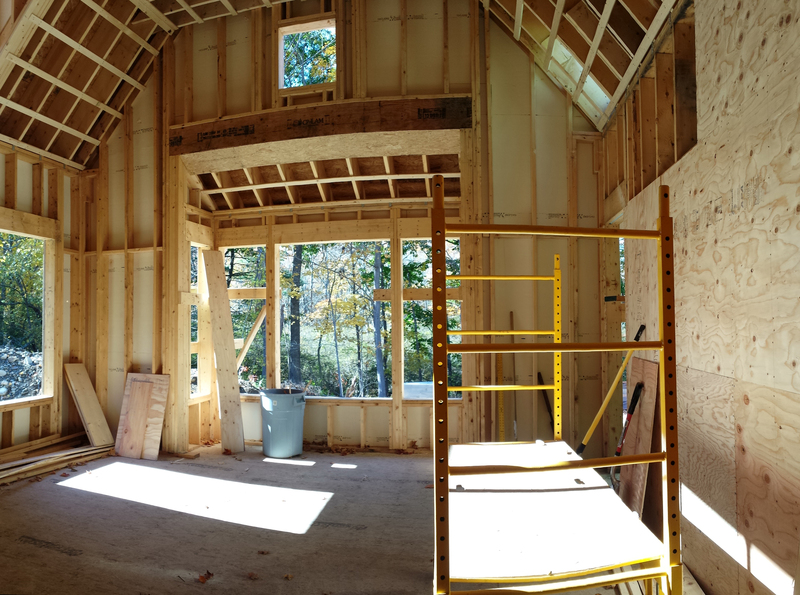 The third component in importance is the master bedroom suite (on the left end side of the project). In this street view, the garage in foreground as the main body of the residence is meant to be away from the street for a more private setting. The generous number of doors and windows in the main living spaces provide a strong connection with the outside and an abundance of natural light. The owners requested a cathedral ceiling in their master bedroom. The steep roof pitch and the high windows contribute to the animation of this luxurious space. The stair tower opens up into the second floor family room. The different variations in window styles in the stair is meant to create interest at the landing. The generous landing will allow for a built-in piece of furniture and the family room will be furnished by a built-in couch and TV unit. We can’t wait to share how it all turns out with you, so stay tuned! If you have a construction or renovation project in mind, contact us and we’d be happy to help with every step of the process. Beautiful details! However I do beleive the rear walls face west and north, as I live across the street and see southern veiws from my sunroom. Either way nice job and a welcome addition to the neighborhood. Good catch! The rear wall is not fully west — it’s a little south as well. Thanks for reading!